The region appears to have welcomed the end of uncertainty. After months of debate, the U.S. Federal Reserve has finally decided to raise official interest rates, the first hike since 2006. For Asia though, confirmation of the region’s widening divergence with the world’s biggest economy appears to have brought more optimism than panic, despite analysts’ warnings of the growing risks to emerging economies. Announcing its widely anticipated move Wednesday, the Federal Open Market Committee (FOMC) said rising household spending and business investment along with an improved housing sector had helped boost the U.S. economy, while a stronger labor market pointed to higher inflation once the “transitory effects” of weaker energy and import prices dissipated. “The Committee expects that economic conditions will evolve in a manner that will warrant only gradual increases in the federal funds rate; the federal funds rate is likely to remain, for some time, below levels that are expected to prevail in the longer run,” it added. Confirmation that the Fed planned only a gradual pace of monetary tightening was welcomed in Asia. “This is an appropriate decision, in keeping with a U.S. economy that is improving,” Japanese Finance Minister Taro Aso was quoted saying by Bloomberg News. India’s Economic Affairs Secretary Shaktikanta Das said the Fed’s upbeat comments on the U.S. economy were positive for Indian exports, stating that the “end of uncertainty and accommodative outlook” would help. Indonesian President Joko Widodo also welcomed the increased “certainty,” noting the immediate effects had been both higher stock prices and a stronger Indonesian currency. 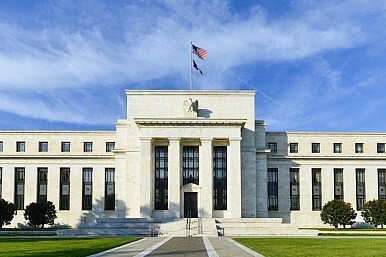 South Korean and New Zealand officials also expressed optimism over the Fed’s move. However, Hong Kong Monetary Authority (HKMA) chief executive Norman Chan warned that the move would increase capital outflows from emerging market economies, putting downward pressure on their currencies, economic growth and other assets. Evidence of this shift has been provided by the Institute of International Finance, which has reported that investors have withdrawn around $3.5 billion from emerging market stocks and bonds in four of the past five months. This compares to the $22 billion invested every month in emerging markets by non-resident investors from 2010 to 2014, attracted by their higher returns. Further outflows would put more pressure on emerging markets’ exchange rates, increasing the cost of their overseas debts. Dollar credit to non-banks outside the United States was almost $10 trillion in June 2015, with more than a third owed by emerging market borrowers. Raising interest rates to defend their currencies would further crimp their economies, which are also suffering from falling commodity prices. According to the Economist, the MSCI index of emerging market equities has hit its lowest level since the height of the global financial crisis, as investors favor stocks in developed economies, particularly the United States. The dollar has already risen an estimated 25 percent since 2013, when the Fed first signaled an end to its easy money policy, with rising interest rates set to intensify this trend. The Indonesian and Malaysian currencies are both particularly vulnerable due to their positions as commodity exporters, according to Barclays analyst Mitul Kotecha. Already this year, the Indonesian rupiah has dropped 14 percent and Malaysia’s ringgit 24 percent against the dollar. Among the first Asian central banks to react, the HKMA raised its base rate for the first time in nine years following the Fed’s move, reflecting the fact that its currency is pegged to the U.S. dollar. Yet Taiwan responded by cutting its key rediscount rate by 0.125 percentage point to 1.625 percent, exceeding market expectations amid a deteriorating economic outlook. According to ANZ senior economist Raymond Yeung, the poor outlook could even force its central bank to cut rates further in 2016, amid weak exports and a widening negative output gap. However, both the Bank of Thailand and the Philippines central bank kept monetary policy steady in decisions announced before the Fed’s move. Indonesia’s central bank kept its benchmark rate unchanged Thursday, but said it would consider an easing at its next meeting in January. Reserve Bank of Australia governor Glenn Stevens told the Australian Financial Review that the U.S. move would potentially cause “some disruption” although there was little prospect of a crisis. “There’s a reasonable likelihood actually that there will be a bit of an upset somewhere…but that’s a far cry from saying it’s going to bring down the global system – I don’t think that’s going to happen,” he said. The Fed’s move could also spark a growing divergence with the rest of the world, with central banks in Asia and Europe all easing monetary policy while the Fed tightens, potentially provoking fears of a currency war. Although U.S. stocks typically bounce back within six months of a Fed hike, higher interest rates are typically negative for stocks and other risk assets. Gold is expected to be another casualty of higher U.S. interest rates, while the outlook for commodities such as coal, iron ore and oil remains weak in the face of China’s slowdown and structural oversupply. Forecasts from the individual members of the FOMC suggest a median Fed funds rate of 1.375 percent by the end of 2016, implying possibly quarterly hikes of 0.25 percentage point that would be unlikely to overly rattle markets. Yet with the prospect of further capital outflows and the risk of continued weakness in Asia’s emerging economies, the region might be careful what it wishes for. According to the World Bank, flows to emerging market economies could shrink by up to 1.8 percentage points of gross domestic product due to Fed tightening. But judging by the initial reaction, Asian and other markets have focused more on the end of uncertainty than the risk of what lies ahead. After months of speculation over the event, ignorance is certainly no excuse for policymakers in dealing with the fallout. Shock and Awe: Surprises That Could Stun Asia in 2018Asia’s Economic Winners and Losers in the Year of the MonkeyEmerging Asia: Beware The FedAsia’s Key Indicators For 2015Can Asian Growth Survive Trade Threats?